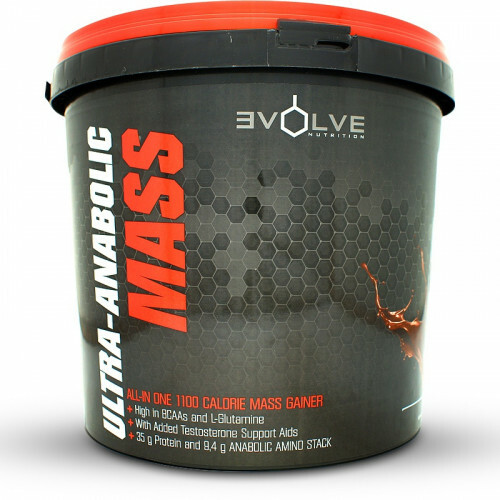 Evolve Nutrition Ultra-Anabolic Mass is an all-in-one mass gainer which has been developed for hardgainers. 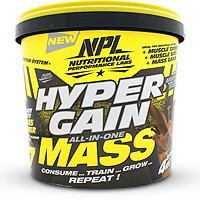 This mass gainer has been developed to suit hardgainers who have a high rate of energy turnover, where calories are expended at a rapid rate and no lasting gains are made. 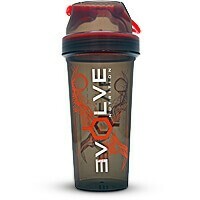 Evolve Nutrition have painstakingly developed this all-in-one shake to offer the correct ratio of macronutrients (proteins to carbohydrates) to support total energy requirements, thereby helping to shuttle nutrients towards the muscle mass for true gains! Not only does this shake provide an impressive 35 g of protein per serving, included is an advanced amino acid formulation which offers a BCAA ratio of 2:1:1 and added L-Glutamine to aid in muscle repair, recovery and gains. The unique protein ratios place priority on the highest bio-available protein, for the rapid conversion and assimilation of amino acids to fuel muscle tissue repair. The INSU-MASS CARB MATRIX offers a unique 5-stage carbohydrate system necessary to manage optimised blood sugar levels, while working to accelerate the uptake of the added Creatine Monohydrate and Creatine HCL, as well as acting as a medium to stimulate insulin response, drive glycogen into the muscle mass and fuel activity. Tribulus Terrestris has been included to support an elevated testosterone response, a necessary consideration when the goal is to accelerate the rate of which mass gains can occur! Evolve Nutrition Ultra-Anabolic Mass is your go-to all-in-one mass shake! **% Nutrient Reference Values (NRV's) for individuals 4 years and older (2010). 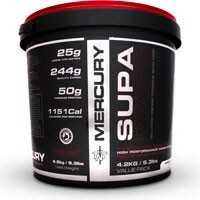 Insu-Mass Carb Matrix (Fast and Slower Releasing Maltodextrin, Waxy Maize Starch, Dextrose Monohydrate, Fructose), Quad-Anabolic Milk Protein Stack (Whey Protein Concentrate, Whey Protein Isolate, Whey Protein Hydrolysate, Skim Milk Powder), Soy Protein Isolate, Anabolic Mass Amino Stack (L-Glycine, Creatine Monohydrate, Taurine, Creatine HCL, BCAA (2:1:1), L-Glutamine, Arginine-Alpha-Keto-Gluterate), Flavourants, Cocoa, Free-Flowing Agent, Tribulus Terrestris (45%), Stabiliser, Sodium Chloride, Non-Nutritive Sweetener Blend. Manufactured in a facility that processes milk, soy, egg, wheat (gluten), barley (gluten), oats (gluten), ground nuts, tree nuts and fish. • As a daily nutritional supplement, start off by taking 2 scoops (150 g), with 375 ml – 400 ml of cold water or full cream milk. • You can incrementally increase your serving size to 4 scoops (300 g) with 740 ml – 890 ml cold water or full cream milk. 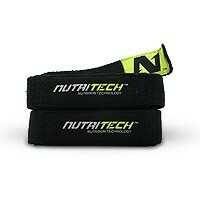 • Take a minimum of 300 g daily as a single shake, or divided into smaller shakes around training or recovery times. This is simply wayyyyyyyyyyyyy too sweet for my liking. Flavour is good but sugar levels are off the charts. 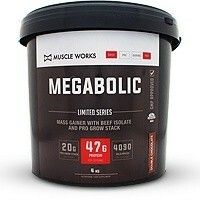 That said, you WILL gain mass using this. 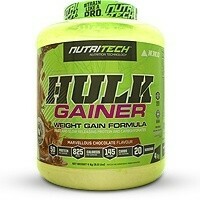 I used 1 scoop 2-3x per day (blended with fruit) as meal replacement. I don't think it's possible to mix 3 or 4 scoops with 900mls of water - simply too much powder.